November is all about your communication style, Libra. The month begins with Venus, your ruler entering Sagittarius and your 3rd House of neighbors, relatives and short trips and tons of daily visits. You will feel a stronger sense of connection to others this month than you did in October, Libra. Communication and bonding will be magnified in November as Venus and Mercury will remain in Sagittarius until 11/24. Despite the chaos you notice around you, you could feel excited and be in extremely good spirits this month. Others will respond favorably to Libra and as is typical of Libra: you know you possess the charm to get who and what you want. You could make a fresh start in a new direction this month and stick with it, Libra. This could be a change of attitude, a trip you take or something that occurs and inspires you on a deep level. You will find yourself in an outgoing and gregarious mood to have fun and you will seek results and receive them. A Full Moon occurs on November 10th in the sign of Taurus focusing on your health and personal wellness. Expect to see progress in areas where you might have felt a strange ache or familiar pain. This day will feel as if there is no stopping you, physically. Energy is at an all time high for Libra on this day. On 11/11 Mars leaves Leo and enters Virgo. This could present you with some tempting offers but it also helps you review your own motives and reasons for why you do what you do. You will gain tremendous insight into your motives during this transit. There is a New Moon and Solar eclipse on 11/25 which impacts your 3rd House as well. You will be in the mood for love and you will want to party and play the night away. This eclipse forms a smooth angle to Pluto putting you in a festive and feisty mood. Even though Mercury is retrograde during this transit, you will do the best you can. You might also conclude that how you view the world now is very different than it was a few years ago. 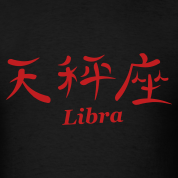 You're finding a deep inner spirituality that is ideal and suits you uniquely, Libra. You will find November to be one of your most satisfying months of 2011. And the signs of Leo and Aquarius will play instrumental roles in your month, Libra.